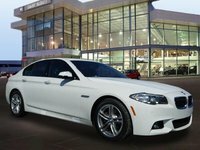 CarGurus has 1,856 nationwide 6 Series listings starting at $4,450. After a 14-year hiatus, the BMW 6 Series was reintroduced in 2003 to fill the spot previously occupied by the 8 Series in BMW's model range, and it’s been going strong ever since. The car received a redesign for 2011, and in 2012 BMW introduced the “Gran Coupe,” something the company billed as a 4-door coupe (more of a sloping tail than a regular sedan) to compete with the similar Mercedes-Benz CLS and the Audi A7. The Gran Coupe, which features a wheelbase that’s longer by 4.5 inches, joined the already established coupe and convertible body styles. The 6 Series—which mainly aims to be a mix between luxury car and sporty GT—is still in the F12/F13 generation that debuted in 2011, but there have been a few changes to keep things interesting (a complete redesign isn’t likely for another few years). In addition to 5 new metallic colors to choose from, cosmetic changes include a reworked lower air intake, 9 vertical bars in the twin grilles instead of 10, and more aerodynamic mirrors with horizontal light strips. New 20-inch wheels are also available, and Adaptive Full LED headlamps with the indicators laid out across the top are now standard. The Black Accent Package is another new addition, and this option adds glossy black finish to the grille, exhaust tips, and wheels. 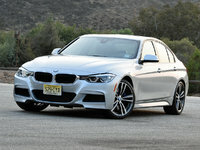 Body styles for the 6 Series remain Coupe, Convertible, and Gran Coupe (4-door), and the primary decisions facing 6 Series buyers remain engine type and whether to have rear-wheel drive (RWD) or all-whee drive (AWD). Since the numbers in German car model names don’t seem to actually mean anything anymore, the versions of the 6 Series can be misleading. To clarify, anything called “640” has the base 3.0-liter twin turbo V6 and anything called “650” gets the 4.4-liter V8. Cars ending in “i” get good old-fashioned sporty RWD, while cars ending in “xi” get power to all 4 wheels. The twin-turbo V6 in the 640 makes 315 hp and 330 lb-ft of torque (available from just 1400 rpm), not earth-shattering numbers but perfectly adequate for a 4,200-pound car (4,500 for the Gran Coupe). 640 models also now come with a sports exhaust system that lets out a more aggressive sound when the driver has the car in Sport or Sport+ modes. Those who spring for 650 models with the V8 will get 445 hp and 480 lb-ft of torque. All 6 Series models are equipped with an 8-speed automatic transmission, which now features launch control. As for fuel economy, all body styles get the same numbers with the 640i achieving 20 mpg city/31 highway, the 640xi at 20/29, the 650i at 17/25 and the 650xi at 15/24. Moving to the inside, the aforementioned new Black Accent Package also gets you handsome two-tone Cognac and Black leather upholstery, while high gloss black trim with chrome accents for the iDrive display and Fineline Brown trim are other new interior additions. The 10.2-inch display screen for iDrive is standard, as are dual zone climate control, heated power front seats and dynamic cruise control. Optional convenience extras include a power rear sunshade, parking assistant, a night vision package and a more premium sound system by Harman Kardon. Safety is enhanced by the optional Driver Assistance Plus Package, which features lane-departure warning, forward-collision warning, and pedestrian warning, as well as blind-spot-detection and additional camera views that feed to the display screen. If you're really after the fastest 6 Series, you might want to wait the extra two weeks for a 4-door Gran Coupe B6 retuned at the Alpina factory in Buchloe, Germany. Reworking the fuel supply system, air-intake ducts, and air-filter housing, the Alpina engineers deliver the B6 with a 4.4-liter V8 capable of churning out 600 hp and 590 lb-ft of torque. The "xDrive" AWD system comes standard, and engine power is routed through an 8-speed automatic transmission Alpina developed in partnership with ZF—there are even sequential shift buttons mounted on the rear of the steering wheel. The Alpina B6 will also sport some added styling cues. The biggest knocks against the 6 Series come down to driving. While capable of admirable performance all around, driving dynamics reportedly feel a bit vague and disconnected, especially for a car from a company that builds the “Ultimate Driving Machine”. Headroom is said to be another weak point. At the same time, though, it’s a comfortable, roomy GT that delivers ample torque, a solid chassis, and praise-worthy shifting in whatever driving mode for pleasurable long drives, even if it doesn’t feel all that sporty. Overall, it compares favorably in fit, finish, comfort, and performance with the other players from the German Big 3, and the 6 Series is arguably the best looking car in its segment. 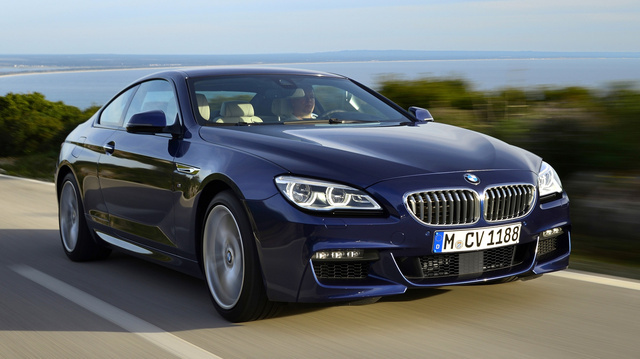 What's your take on the 2016 BMW 6 Series? Users ranked 2016 BMW 6 Series against other cars which they drove/owned. Each ranking was based on 9 categories. Here is the summary of top rankings. Have you driven a 2016 BMW 6 Series?